We are often asked by potential clients why they should use us vs a larger alarm company. There are many companies to choose from but not all are created equally. Here is what sets us apart from the rest: As an independent company we don’t have obligations or contracts to any brand or company. This allows us the freedom to only use the products that we feel are the best. We pioneered security. Your privacy is safe with us. We do not share information about our clients. Our standards of work are very high. We pay strong attention to details and ensure that everything is done perfectly the first time around. We’re proud of the fact that being a local security company gives us the ability to pay close attention to each of our clients and take care of all of their needs. Larger companies will have you jumping through hoops for days, weeks or even months to get in touch with a technician and get your system serviced; we answer our own phones and address any issues quickly so that you can always count on your security system to work properly. We use our own guys, never sub contractors, and they live up to our very high standards! We don’t have a revolving door of employees- most have been with us for a long time. The owner or installation manager supervises and quality-checks every installation. 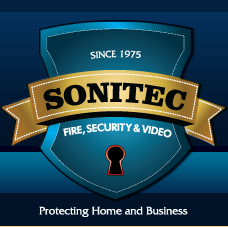 Being a small local company, we are available to listen to all of your concerns and needs and come up with the best security system for your individual needs, not just something that fits into our plans. A job is not finished until the customer is completely satisfied. Our customers come first. We need them to keep our jobs, plan our future for ourselves our families. We treat them like we would like to be treated. Every task with every job we perform is treated as if it is the most important job to be done. In our business, we protect lives so we never forget how much a mistake can cost.